Thanks to Forum Member umpdv5000 (Martin), as of May 2007, we have confirmation that the original bridge & saddles were made by Gotoh and are still available! 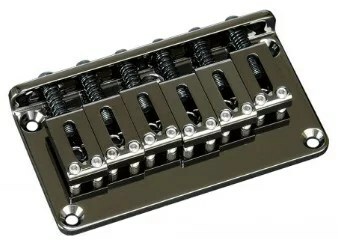 The Gotoh GTC101 bridge along with the S11 saddles is the original bridge that is on the Thunder I-A and is identical. The one offered at Stewart Macdonald’s site is a tad out in saddle size. This is Quest International Ltd. from Japan. I received your massage through Gotoh parts. Because I’m original designer of Westone and dealing the Gotoh parts today. 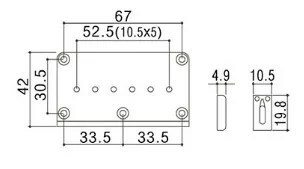 The Thander-1A Bridge saddle can use GTC-101 brass saddle p-10.5mm . The charge of the person is Jun Hasizume . Please contact to him. If you have any question don’t hesitate to contact to us. Head Office: 2-6-6 3F Jingu, Atsuta-ku Nagoya 456-0031 Aichi. Shiojiri Atelier : 1756-1 Takaide Hirooka Shiojiri 399-0703　Nagano. Toshi Owa was one of the key designers for Matsumoku/Westone, working alongside Tom Presley, and he is mentioned in Tom’s Development History posts. It’s really good to know that we have an endorsed replacement for our beloved Westies—directly from the designer himself! you may be interested in Armadillo Guitars reproduction listed in our SHOP section.